Attend Wilmington Beer Week October 21-28 to celebrate suds with beer dinners, tap takeovers, and festivals like the Voracious & Rare Beer Festival and the Lighthouse Beer and Wine Festival. Learn more about Wilmington Beer Week here and read more about the event offerings and Wilmington&apos;s exploding craft beer scene in this blog post. Enjoy the delicious flavors on tap at the Ogden Tap Room from Coronado, Devils Backbone and Shiner Brewing alongside savory food specials. 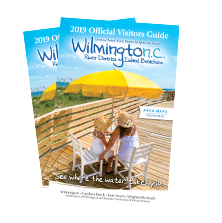 Savor a delicious meal provided by the famed farm-to-table restaurant, Pinpoint alongside a craft brews from Wilmington Brewing. 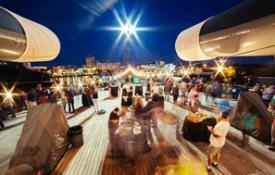 If you&apos;re constantly searching for the latest and greatest beer, take advantage of this opportunity to try over 30 unique beers you&apos;ve never had and some you&apos;ve never heard of aboard the deck of the historic Battleship NORTH CAROLINA, complete with light appetizers, live music and brewers on hand. Explore the world of hops, grapes and grain at the Lighthouse Beer & Wine Festival featuring over 100 craft breweries and wineries. 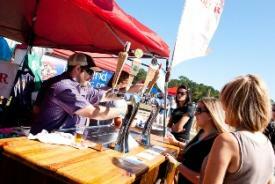 Don&apos;t miss this fun-filled festival of beverages, live music, food vendors, and more!